Enjoyed chatting with you this week about Pages 24-35 via Periscope and Facebook Live. Hurry and add your comment on each of the 3 sections of the book HERE so you’ll be entered in the FINAL GIVEAWAY on Tuesday, May 10. *Comments are due by 8AM Central on May 10. 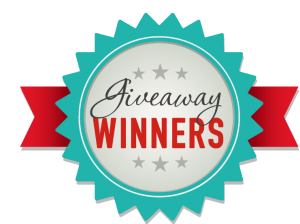 I will announce the 3 winners that day at 10AM Central during the LIVE broadcast. You don’t have to be present to win. I hope you’ve enjoyed watching the blog posts in action via LIVE video. Sure makes it easier than writing everything I want to say! Here’s the Live Broadcast for this week’s discussion of Pages 12-23. Thanks to all of you viewing the Replay here or on the Facebook page. The PDF study guide for the video below is HERE. If you don’t have the book or PDF in front of you, it’s OK. On this video I play through each piece so you can follow along easily. Scroll to 4:30 to get right to the content. Was thrilled! to chat with all of you yesterday on the LIVE broadcast. Thanks for joining in and to all of you REPLAY viewers as well. Below is the REPLAY for any who missed it. The PDF study guide for the video below is HERE (covers pages 1-11). I really enjoyed hearing your thoughts and receiving feedback yesterday. Be sure to add your thoughts and comments about Pages 1 -11 below to share with other teachers . There’s never enough time for posting on the broadcast. Definitely share your one-sentence description of the book (how you’d describe it to a teacher) and tell me what you thought of these initial primer-level pieces. What did you love? What did you learn? Here’s the PDF download with the discussion points for Pages 12-23. Just make quick notes in the margin of your book. Remember to tune in to the LIVE broadcast at 10AM Central next Tuesday, April 26. Don’t have the book yet? See below. Not too late to get started. 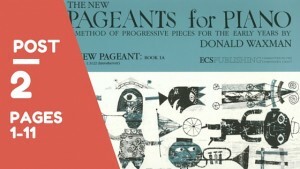 You’ll probably receive the book in the mail before next Tuesday. Please try, try to join the Periscope broadcast if you can, because it allows me to interact with you a bit more, but if you prefer Facebook LIVE that’s OK, too. Invite friends to come join us so they’ll learn all about a Piano Play-Along. If they’re not on Facebook, tell them to try Periscope on their mobile phone/tablet. Info just below. TO BUY the BOOK at a 20% discount, go HERE. SEE the FULL PLAY-ALONG SCHEDULE HERE. TO VIEW on PERISCOPE: The Periscope app is FREE for your mobile device. Read about how to download it HERE. The little buttons at the top left of this post will allow you to SHARE with your friends. See you on TUESDAY at 10AM CENTRAL! So excited about the April Play-Along! We just kicked it off today with both a Periscope and Facebook Live broadcast. A first for me! Great to see all of you who were able to join in. If you missed it, you can view the REPLAY BELOW. You’ll learn what to prepare for our First Discussion next TUES, April 19, at 10AM Central on Periscope and Facebook Live. I look forward to hearing your thoughts LIVE! And tell your teacher friends – it’s not too late to join. Here’s the PDF download with the discussion points for Tuesday’s broadcast. Just make notes in the margin of your book. Simple thoughts are OK. The pdf will guide you. And if you don’t have the book yet, please join us anyway. You’ll be able to get the gist of it even without the book for now. 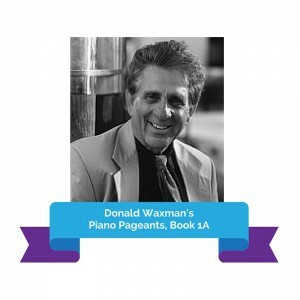 FROM APRIL 16 thru MAY 6 (approximately), we’ll all be studying/playing Book 1A from Donald Waxman’s beloved series “Piano Pageants” Click HERE for all the info you need to get started and learn about the purpose of the Play-Along. 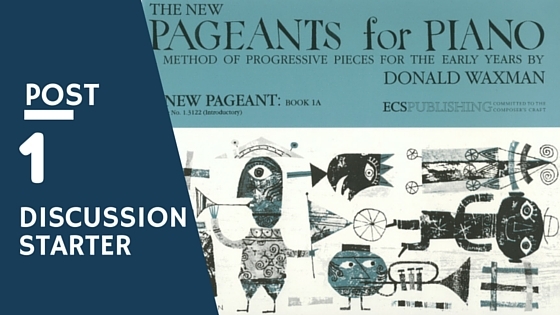 There’s no sign-up, but start now by purchasing or locating your copy of the book. We begin on April 16, so hurry and grab a discounted copy HERE or two! Use CODE: APRILPLAY to receive 20% off any no. of copies. If your book arrives after we begin, no worries. 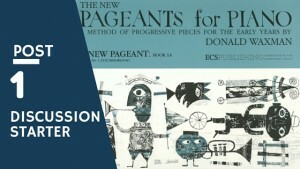 You can still watch the LIVE broadcasts on April 16 & 19 and review the summary blog post later. 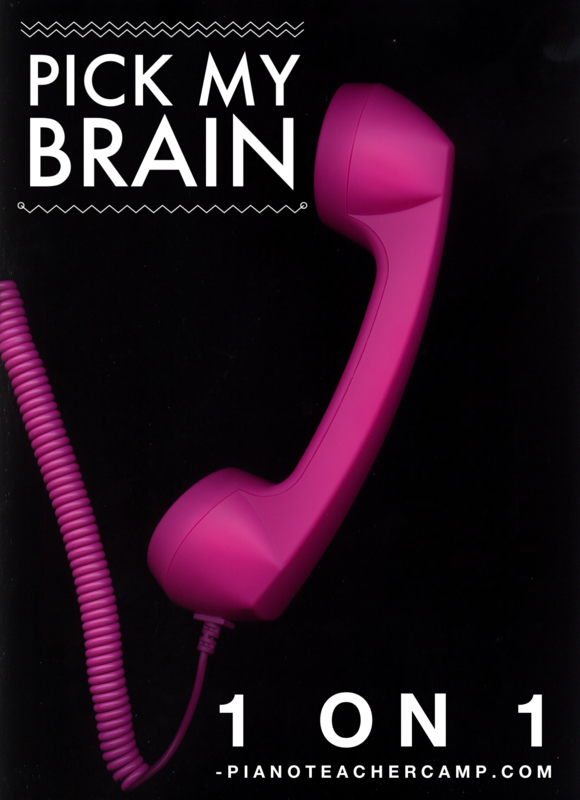 The Piano Biz Hotline is Open! 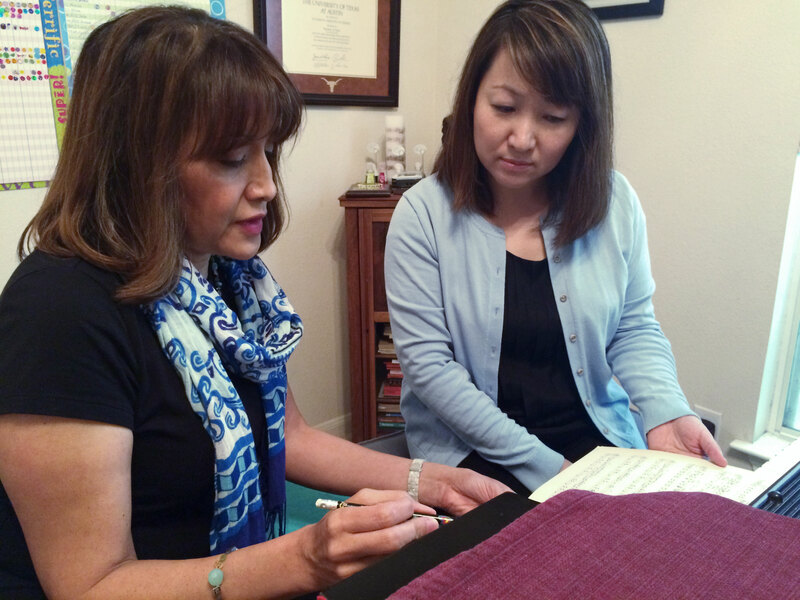 Problem-solving and helping students move forward with confidence is one of our toughest jobs as piano teachers. I’ve guided and mentored teachers of all ages and stages for years and love to assist them with their toughest struggles. There are only so many things we can figure out on our own. Sometimes an outside POV can be HUGE in helping you make clear plans, better decisions or more realistic goals. Or perhaps all you need are answers to a couple of key questions in order to move forward. I’m here to help. 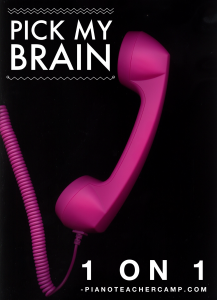 Think of it as the piano biz hotline – via Skype, FaceTime, or just the plain ol’ phone. Head over HERE to find out more of what I do. General inquiries are certainly welcome. Just email me @ info@pianoteachercamp.com. To get a glimpse of what it might be like, join me and other teachers at my weekly LIVE BROADCASTS on Periscope – Tuesdays mornings, 10AM Central. We have such a great, sharing community over there. We keep it friendly, encouraging, and down-to-earth and the chat box is open to everyone! CLICK HERE to learn how to download the FREE Periscope app to get started. P.S. No Periscope on March 15. 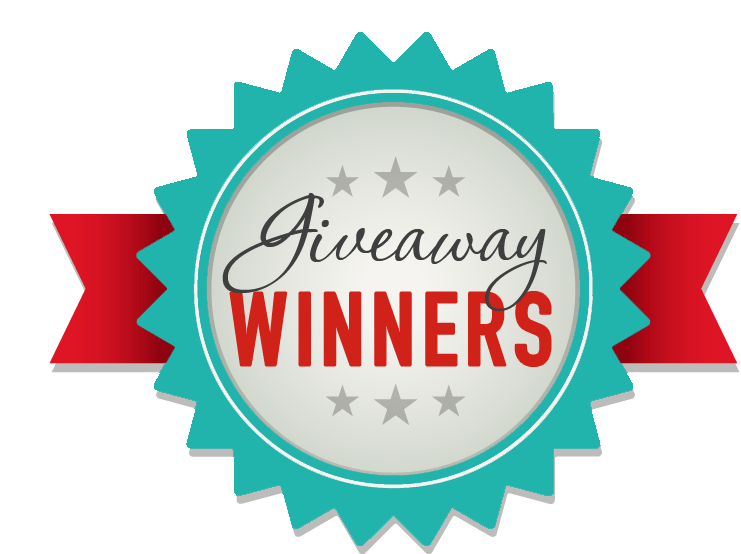 MusicEdConnect Giveaway Winners Announced and Replay Passes Now Available! Did you attend the 3rd annual MusicEdConnect Webinar last week? The feedback was wonderful and it looks as if this online conference will continue. What can be better than attending 26 sessions LIVE, or in REPLAY mode from now until Dec. 31, 2016? And all from the comfort of your own home via your computer or mobile device. Thanks to those of you who were able to attend my session “A Quick Guide to the Most Popular Piano Classics Students LOVE to Play” I gave a tour of original piano classics that students really gravitate towards and I hope the session will assist you in making repertoire decisions for students with discerning tastes. It’s always a fine line, right? — what we think is good for them and what they’d prefer to play. This is just a small part of a more in-depth guide I’m working on that will help teachers know what to teach and when, and it will offer clues on what students find the most rewarding in a particular piece. If you missed the webinar it’s not too late to access a replay of all 26 sessions by 26 different presenters. Anyone can register for the replay pass (and should) as it was amazing and such a great value. I cannot believe how many tips and info were shared! The replay pass is $129. Register HERE and you’ll have immediate access to all the videos now thru Dec. 31, 2016. Tell your friends! NOW …. 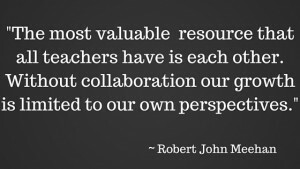 for those MusicEdConnect participants who listened to my session last THURS, Feb. 4, and then hopped over to the blog here with a reply …. DRUM ROLL please…..
You EACH win a DISCOUNT COUPON CODE for one of my digital publications at www.pianopassport.com! 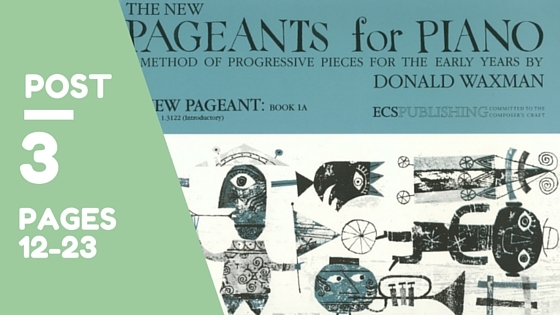 You’ll have a chance to check out one of my newest publications for teaching. It’s a small assortment so far, but there’s a good variety to select from. HINT: I suggest my late elementary version of Clair de Lune. I think it works really well for those students who just can’t wait to play this beautiful melody, especially adults. Congratulations to you all. I will be emailing the code to each of you shortly. 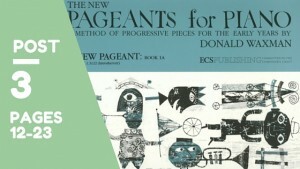 Thanks to OnlineSheetMusic.com for providing this coupon! 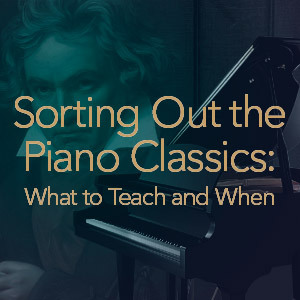 Having a hard time deciding which piano classics you should teach and when? 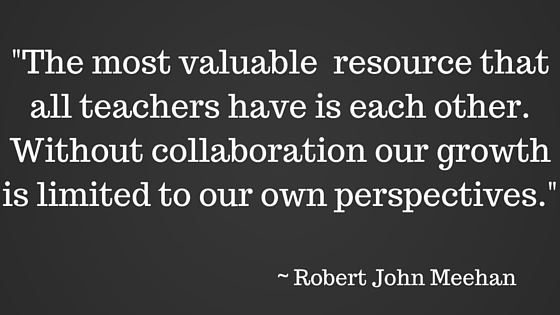 Do you wonder whether your students will like your selections? Elizabeth will help you narrow down the sea of choices to create a well-rounded, balanced repertoire for students of all abilities and especially those with discerning tastes. The beauty of MusicEdConnect is that all sessions will be available ON-DEMAND after the live conference dates so you can re-watch a session or view a session you missed. While there is a specific time for each live session, you do NOT have to watch it on that date. You may watch the 2016 sessions until December 31, 2016! My READERS receive a COUPON CODE! The conference will begin with keynote speaker, Pete Jutras, presenting “The Road Ahead.” What is the future of teaching piano and what is the best way to teach this next generation effectively? NEW this year, Tech Tuesday will offer a wealth of beginning to advanced technology sessions including very practical applications on a shoestring budget, how to replace that spaghetti of cords in your studio and iPad iDeas! Also part of Tech Tuesday, are the many HOW TO 30/30 sessions on topics such as HOW TO Broadcast Your Recital Over the Internet, extend your screen, use iMovie and GarageBand. These unique 30/30 sessions will offer a half-hour live with the second 30 minutes recorded for you to watch later when you are ready for that next step. This will help these technical sessions be a bit less overwhelming so you can take it one step at a time at your own pace. Wednesday, Thursday and Friday, learn how to deal with difficult parents, conduct engaging and effective studio classes, gain new sight reading strategies, understand chord symbols, perfect your teaching language, teach beginners technical movements, teach pop music, how to make the most of your lesson time especially with over scheduled students, better engage your students, marketing magic and everything in between! And….showcases from JoyTunes, TimeWarp Technologies and Keys to Imagination. Saturday, the networking session returns (Full Access/Live attendees only) as attendees will get to network with other attendees to give and receive great advice, all hosted by some of our presenters. WINNERS! 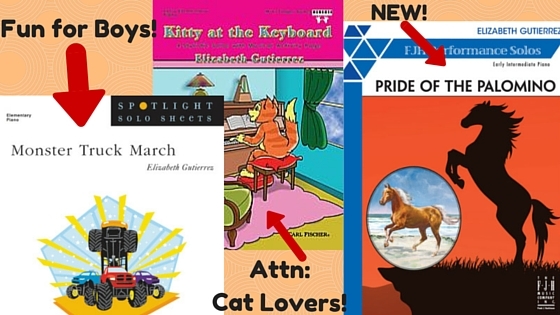 Thank all of you for watching my latest scope on “Elementary Music for Boys and Animal Lovers” and also for the sweet comments about my elementary solo sheets. As promised, new followers were placed into a drawing for 2 packets of my music, one larger and one smaller. The winners are 1. Betty Lawson and 2. Joyce Harwood! I will get your prizes to you as soon as we connect. Please email me at elizabeth@pianoteachercamp.com if you read this post first. I’m dreaming up new scopes to solve pain points for working piano teachers. 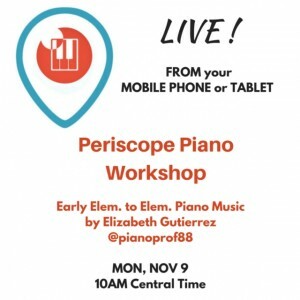 Piano teachers are some of the busiest people on the planet, so I will definitely be “katching” them for your viewing after they expire on Periscope and summarizing some here on the blog. I’ll keep some of these scopes short and right-to-the-point. HOWEVER….. the best feature is having YOU on Periscope interacting with me and other teachers LIVE on the scope. We all learn so much from each other, right? 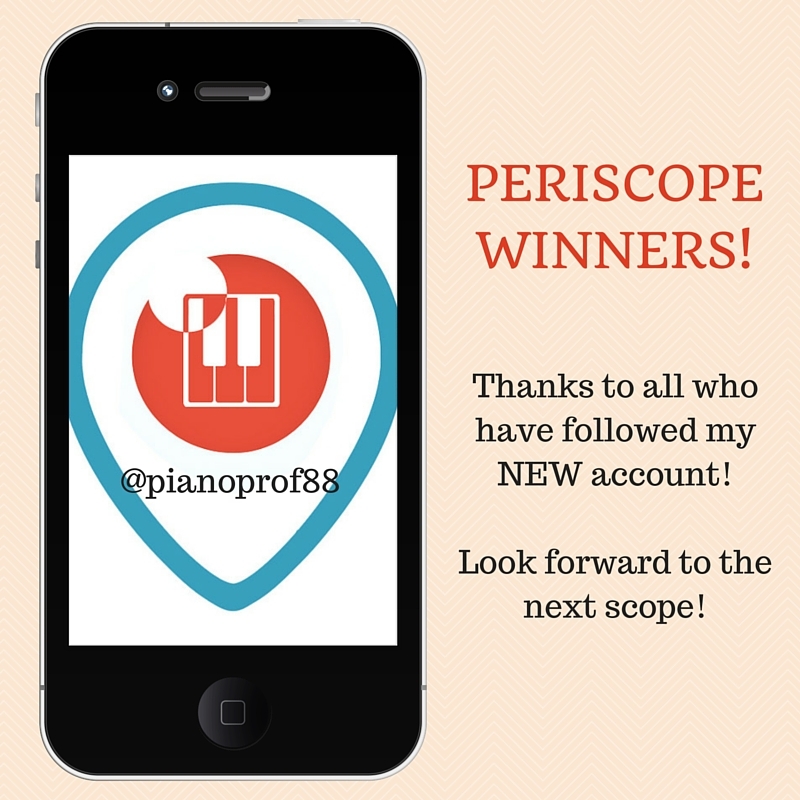 So, if you haven’t downloaded the FREE Periscope app (Apple or Android mobile devices), please do and FOLLOW me @pianoprof88. My name will have a little keyboard next to it. And set your Notifications to ON. I hope you can view LIVE from time to time. I’ll try to mix up days/times as I am able. NEW! Gutierrez Piano Music is Now on the Blog! 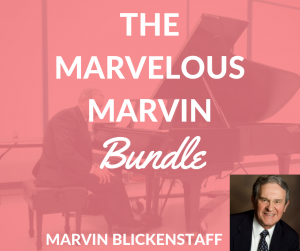 Teachers have been asking me to place all my educational piano pieces in one place on the blog and finally it’s done! When you click on SHOP on the menu above, you’ll see 3 categories: Ebooks, Sheet Music, and Sheet Music Downloads. Under SHEET MUSIC, you’ll see all the hard-copy material published under my name — sheet solos, collections, and one reference book. You can click each title and read a description of the work and see a page view in most instances. 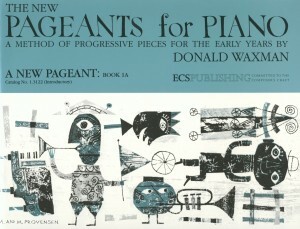 So have fun browsing and if you find something of interest to you, you can certainly order direct from the blog (via Sheet Music Plus), but I urge you to order copies from your local sheet music retailer. Please support them whenever you can. They are such an important asset to the future of music in our communities and we need to keep them in business. Stay tuned for upcoming Ebooks and Sheet Music Downloads. I’ll reveal those goodies soon. Be sure to subscribe to the blog off to right to stay updated. 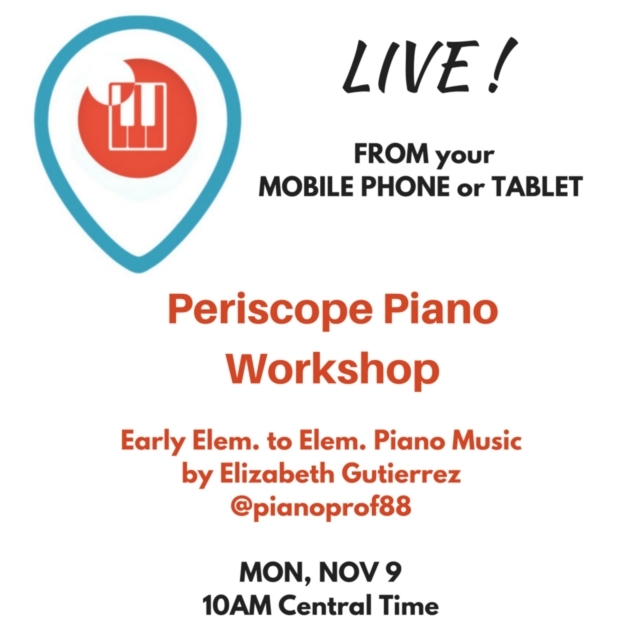 To celebrate the launch of the SHOP, I’ll be doing a LIVE Periscope Piano Workshop on Monday Nov. 9 at 10:00am CENTRAL featuring my early elementary and elementary piano pieces. A few have been listed on the NFMC Junior Festival list before and are perennial favorites with boys especially. I’ll play the pieces, discuss the principle teaching concepts for each, and tell you when you could introduce them if you’re using one of the popular piano methods. WHAT’S PERISCOPE, did you say? — it’s a new app for Android and IOS phones and tablets that allows you to watch LIVE broadcasts for free. You download the FREE app, create a quick profile for yourself, and “follow” a few folks whom you’d like to view whenever they broadcast. And you can broadcast too! 1. If you’re on your mobile phone or tablet right now, click on the little “pianoprof88” button off to the right on the sidebar and it should take you to the Periscope app for download and then you can “FOLLOW” me. 2. Download the FREE Periscope app on your phone or tablet from the App Store (iPhone) or Google Play (Android). Use your cell phone# or your Twitter account to sign up (use Twitter if you have it). Set Notifications to “ON.” Create your account and choose your @name. Post a photo of yourself and bio on your profile when you get the chance. Search for me “@pianoprof88″ and FOLLOW. Whenever I’m about to broadcast, you’ll hear and see a little tweet alert on your device. See you on the scope! 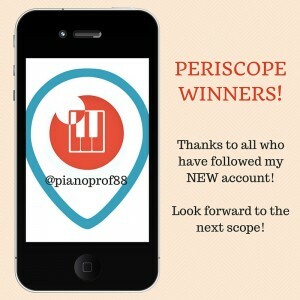 Side Note: To those of you who are already following me on Periscope, please follow me now on @pianoprof88 instead of the old account @pianoprof. I had to change to a new account for good reasons. On Monday, I’ll hop on the old account and alert you to follow me at the new account just in case. Thanks! 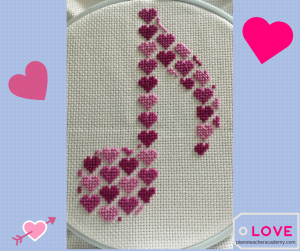 Fun NEW Cross Stitch Pattern! Learn to Stitch it with Elizabeth! Click to purchase. After purchase you’ll be directed to a closed FB group to learn how to stitch it. Beginners and experienced stitchers are welcome. LIMITED TIME offer! Video trailers from a master teacher! Click to see this master teacher in action! Need Help Teaching the Classics? Includes 3 monthly group coaching calls every year! - Jan/Feb/Mar. Click here to get started! T-shirts ON SALE! Free Shipping! Fun, comfy cotton T-shirts with choice of two sayings. Perfect for you or a student, plus FREE shipping! 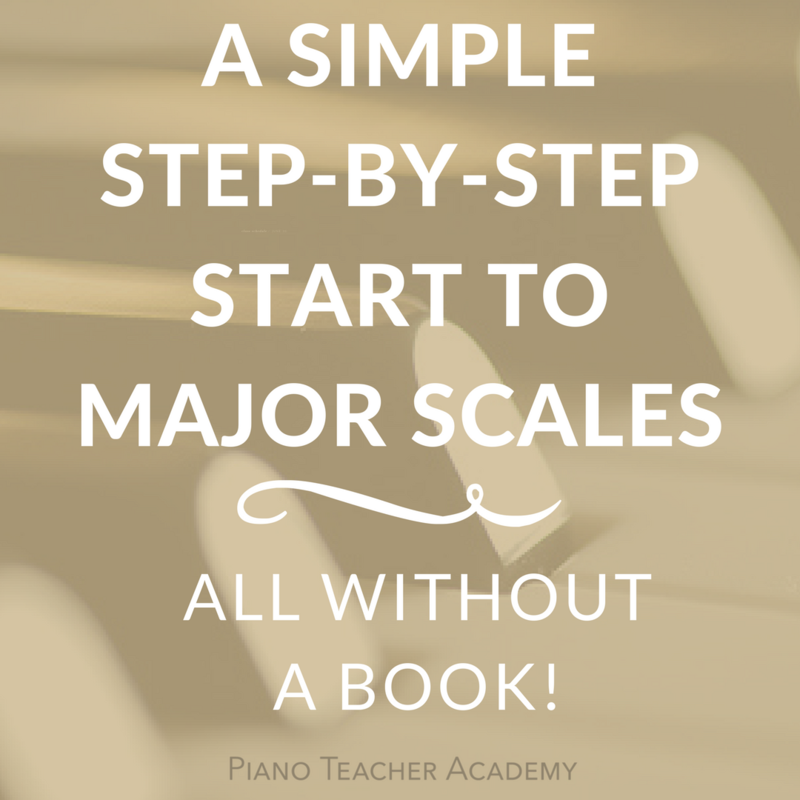 Online Course for Teaching Scales Efficiently!